One day in June I cut open a mango to feed my addiction, and noticed that the seed looked a bit different than usual. 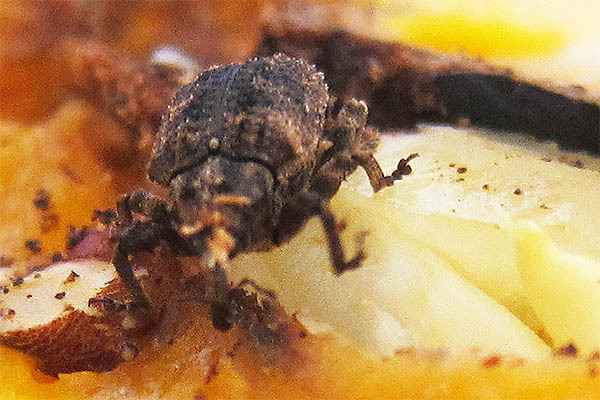 I imagined I’d seen something move slightly so I stared a little closer for a few seconds and, lo and behold, a little brown beetle slowly came to life and emerged from his camouflaged place among the woody brown of the seed, crawled groggily out of the hole, and headed for freedom. 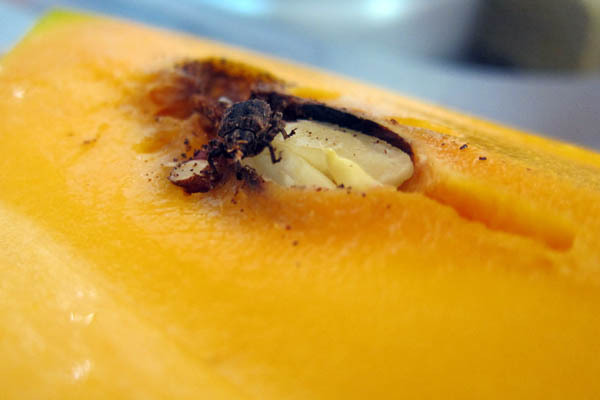 The moral of the story: always check for bugs in your food. In Burma I found little white worms inside lychee nuts all the time, curled up hiding where the stem meets the seed. And every week I find at least one fly swimming in my coffee. Yum. This entry was posted in Africa, Côte d'Ivoire and tagged Creature photography.